NVIDIA’s GeForce GTX 960 graphics card launched in late January and aimed at a market which consisted of gamers who were looking to upgrade their PCs around the $200 price range. 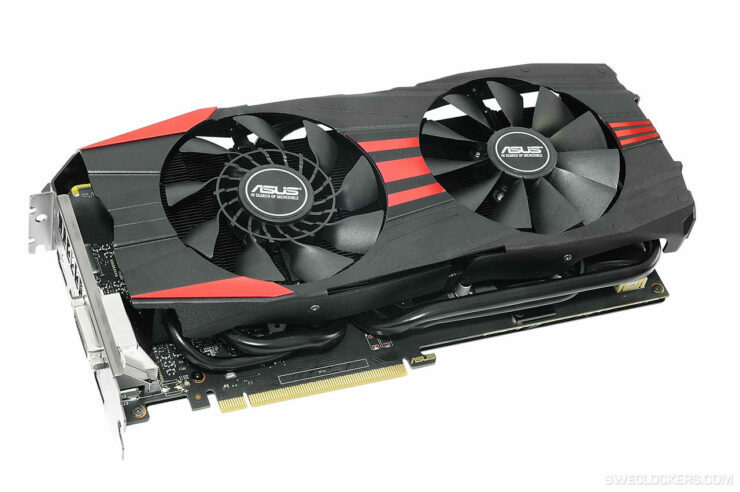 During its launch, the GTX 960 showed off good performance increase compared to its predecessors however, AMD’s aggressive price cuts over the Tahiti based 280 series cards added more heat to the market. 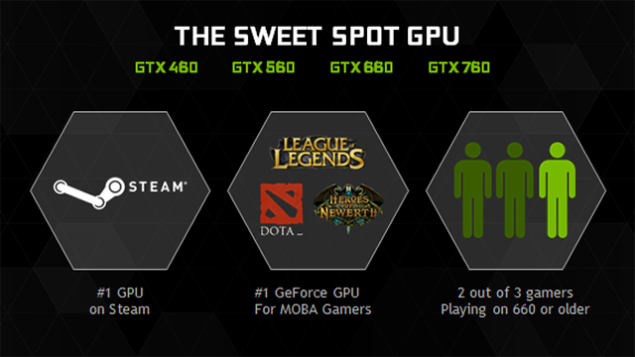 Still, the 960 turned out to be an silent hit amongst gamers as it had won NVIDIA more discrete graphics share in the desktop department as shown by a chart composed by Beyond3D Forum members. The GeForce GTX 960 is not a powerhouse, its a little card and features specifications which are half of what we see on the GeForce GTX 980. Rounding up the specifications, the GM206 core has 1024 CUDA cores (2048 on a GTX 980), 64 texture mapping units (128 on a GTX 980), 32 raster operation units (64 on a GTX 980). The rest of the specifications include a 2 GB GDDR5 VRAM that operates along a 128-bit memory interface at a clock speed of 7 GHz (7010 MHz effective), pumping out 112.2 GB/s memory bandwidth. The 4 GB VRAM models are also available however they cost slightly more. The GeForce GTX 960 is built to consume low power and that it does with the standard models featuring just one 6-Pin power connector that have a TDP of 120W. Maxwell being great on power efficiency allowed NVIDIA’s AIB partners to release some great Mini-ITX designs aimed towards Mini PCs and ITX rigs. However, ITX variants aren’t the only route AIBs have chosen. 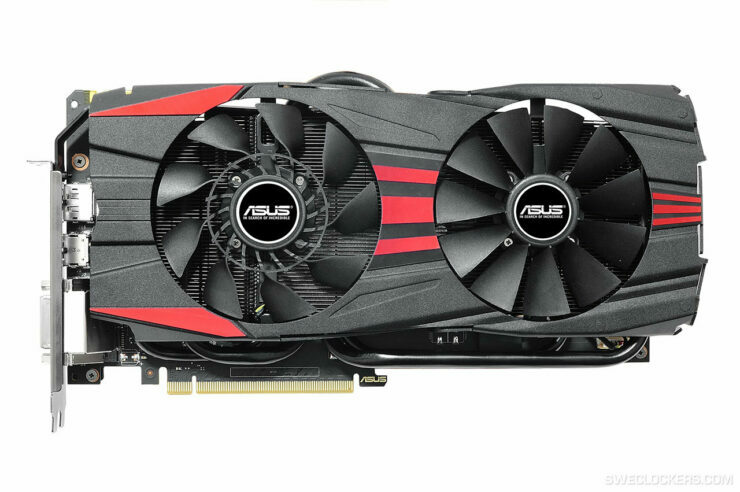 ASUS and ZOTAC have both released some beefy designs today which include the GeForce GTX 960 OC DC2 Black from ASUS and GeForce GTX 960 Extreme OC 3D Storm graphics card. Both cards have the same technical specifications but feature different clock speeds, different coolers and highly modified PCBs to push more overclocking and stability on a chip as mainstream as the GM206. 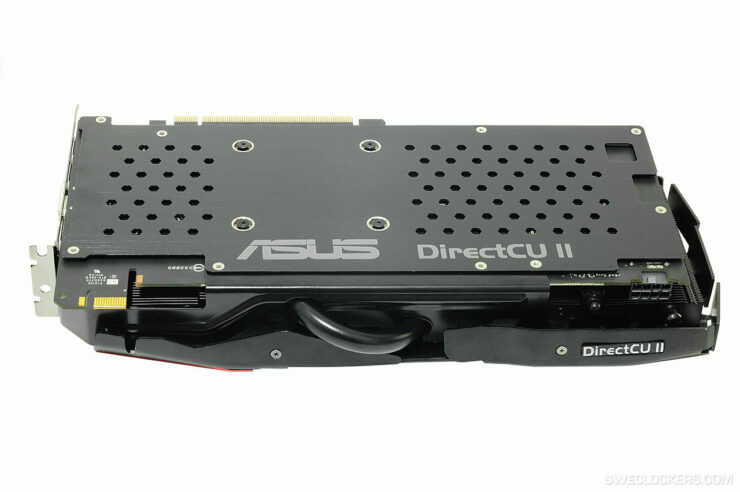 The ASUS GeForce GTX 960 DirectCU II OC Black isn’t black in color and in fact uses the red and black color scheme of ASUS’s DCII based cards. The card covers dual slots and has a large cooler shroud featuring a normal fan and a secondary front fan which adopts their cooltech technology that pushes more air out of the exhaust vent at the front.. The strikes of red are actually pieces which are attached to the shroud itself and can be removed to give the card a full black color scheme. 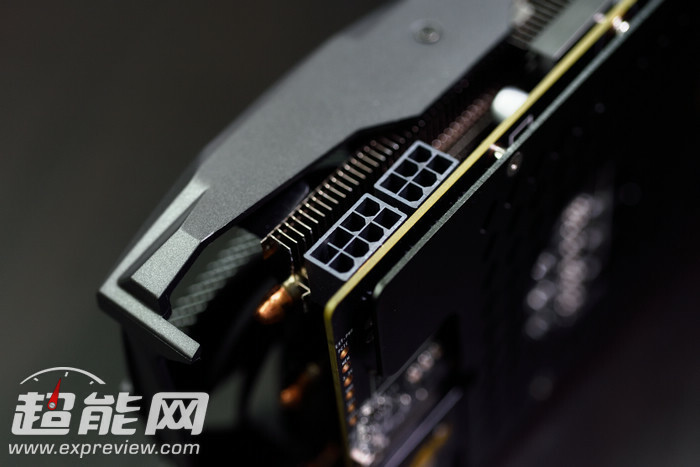 ASUS has provided a nice looking backplate behind the card which adds to its aesthetics since the card isn’t going to be much hotter on the back regardless of how much you overclock it A single SLI connector is featured on a extended portion of the PCB which allows 2-Way multi GPU functionality. Display outputs include DVI, HDMI and three Display ports. 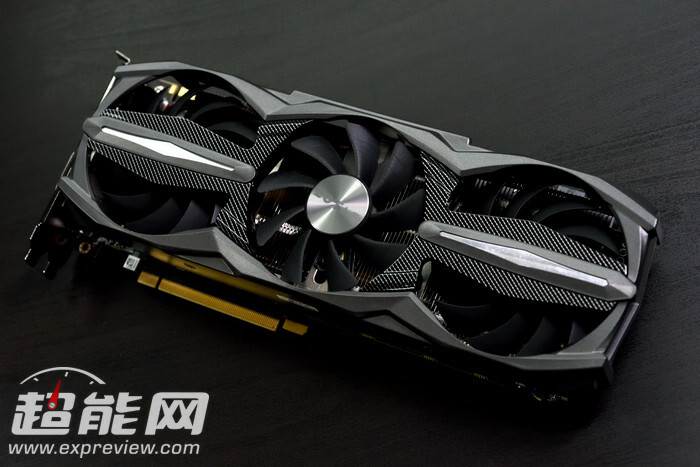 The GeForce GTX 960 DirectCU II OC is clocked at 1279 MHz core and 1342 MHz boost clock and is expected to launch in the first week of May for a premium price over the reference $200 US cost of a GeForce GTX 960. The second card is more impressive in terms of its custom design. 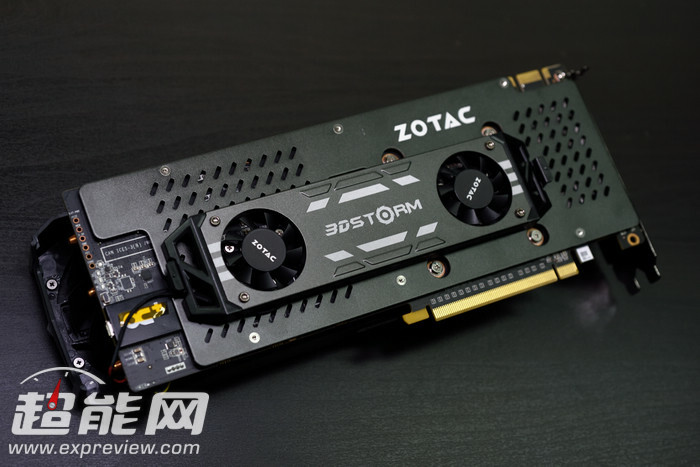 The ZOTAC GeForce GTX 960 Extreme 3D Storm is a class apart from the ASUS card and Extreme editions from ZOTAC have always been some of the most powerful custom designed cards to launch. 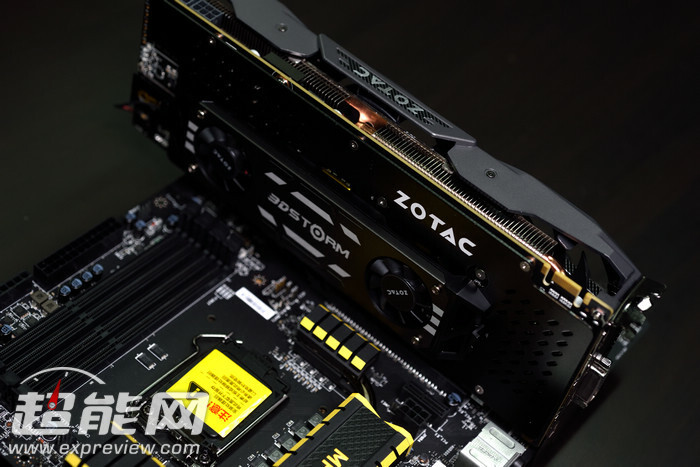 In the case of the GTX 960, Zotac took a power efficient chip like the GM206 and put it on a PCB which is going to push extreme amount of power to the chip and electrical components for stability and greater overclocking potential. The cooler shroud featured on the card is the same as ZOTAC’s recent AMP! edition offerings with a carbon fiber and all black mesh design. Three 90mm fans circulate air to the central heatsink chamber which cool off the various components of the card. There’s also a 0db noise technology which adapts and controls the fan operation based on temperature readings. On the clock side, we are looking at 1342 MHz for core, 1405 MHz for boost and 1800 MHz memory clock which pushes 115.2 GB/s bandwidth. 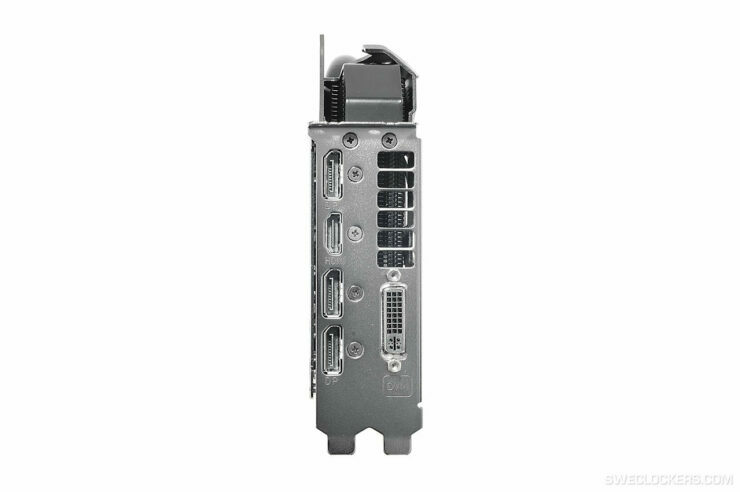 This is the fastest factory over clocked variant of the GeForce GTX 960 available at the moment The card is provided power through a 6+8 Pin configuration, display connectors include DVI, HDMI and three display ports while the power boost engine with its decoupling capacitors improve overclocking. The PCB is a beast 6+2 Phase design and uses the uP1983A PWM controller. The latest Samsung memory chips capable of handling 8 GHz have been featured on the card which make room for additional bandwidth. 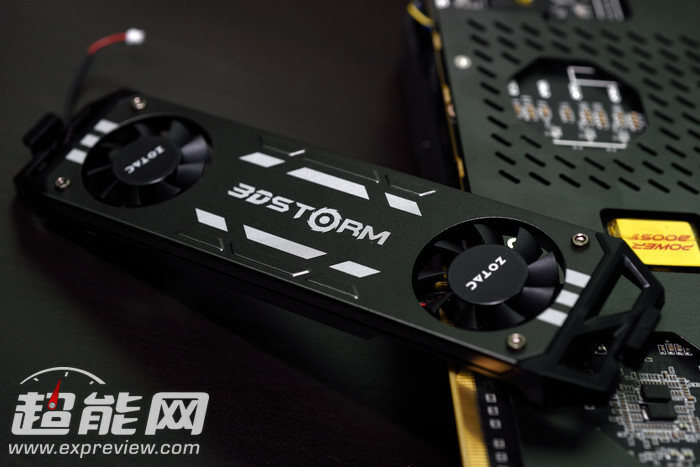 A 3D Storm module is included which connects a 3-Pin connector to the main PCB and has two smaller fans that push air on the back of the card since the power boost engine is situated there.The card is available in Chinese market and costs a hefty $249.99 US..